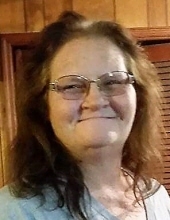 Mrs. Melissa Barber, 50, of Newnan, passed away Thursday, February 7, 2019, at Piedmont Newnan Hospital. Mrs. Barber was born November 14, 1968, in Newnan, daughter of the late Jacob Donald Varnadoe and Marie McKeehan. A resident of Newnan most of her life, she was a homemaker and a loving mother and grandmother. Survivors include her husband, John C. Barber, Jr. of Newnan; daughters, Kimberly Barber of Newnan, Natalie Barber of Franklin, Linda Lyle of Carrollton, Melissa Hutchison of Newnan; sons, Russell Barber of Franklin, Corey Lyle of Carrollton, Alex Barber and Nick Barber both of Franklin, Steven Tanner and Patrick Hutchison both of Newnan; sister, Melanie Varnadoe of Newnan; brothers, Greg Varnadoe of Senoia, Nathan Varnadoe and Michael Varnadoe both of Palmetto; and twelve grandchildren. The family will receive friends at Claude A. McKibben and Sons Funeral Home in Hogansville, from 2 until 4 Saturday afternoon for viewing and visitation. To send flowers or a remembrance gift to the family of Melissa Barber, please visit our Tribute Store. "Email Address" would like to share the life celebration of Melissa Barber. Click on the "link" to go to share a favorite memory or leave a condolence message for the family.